i2017 Composer-in-Residence Brett Dean participates in a group rehearsing his Epitaphs. Newly composed music has always been an integral part of the repertoire at Marlboro, where participants can select a wide range of contemporary works to explore with the luxury of abundant rehearsal time. With the guidance of Leon Kirchner, starting in the early 1960s, a resident composers program was established that opened new worlds for generations of young artists who have gone on to become leaders in all areas of music. The opportunity to interact with the composer of a particular piece of music remains one of the valuable learning experiences at Marlboro for the musicians, one which also offers valuable new perspectives for the composer. Many have remarked that rarely have they had such thoroughly-prepared performances as those at Marlboro. 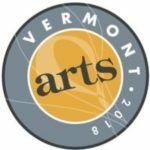 Works by resident composers have received additional hearings in cities throughout the U.S. on the programs of the Musicians from Marlboro tours. Among the resident composers who have participated at Marlboro in most recent decades are Thomas Adès, George Benjamin, Robert Cuckson, Marc-André Dalbavie, Brett Dean, Sofia Gubaidulina, John Harbison, György Kurtág, Krzysztof Penderecki, Shulamit Ran, Kaija Saariaho, and more who are listed below. Clarinetist, composer and conductor Jörg Widmann returns to Marlboro after a previous residency in 2008. One of the most versatile and intriguing artists of his generation, the Munich-born Widmann is the most performed living composer in Germany. He is acclaimed for chamber music works including a cycle of five string quartets and, most recently, a new quintet for clarinet and string quartet that Widmann premiered with the Hagen Quartet in January 2018. He has been composer-in-residence of the Deutsches Symphonie-Orchester Berlin, the Cleveland Orchestra, the Salzburg Festival, the Lucerne Festival, the Cologne Philharmonic Orchestra, and the Vienna Konzerthaus, and he will be in residence at Carnegie Hall after his return to Marlboro this summer. 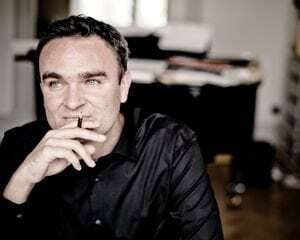 For more information on Jörg Widmann, please visit his website. Though composers have been present at Marlboro since its inception, including Co-Founder Adolf Busch, Leon Kirchner established a formal residency program in the 1960s. Through the decades, the program underwent several changes, to be revitalized again in 1993. The following list includes the names and resident years of composers since then as well as links to the performance history of their works at Marlboro.